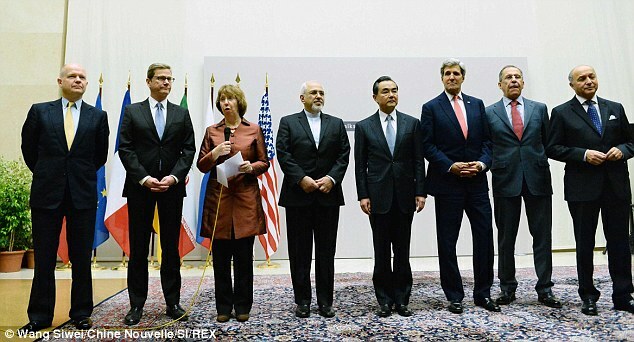 Iran has struck a historic deal with the United States and five other world powers, agreeing to a temporary freeze of its nuclear programme in the most significant agreement between Washington and Tehran in more than three decades of estrangement. Iranian President Hassan Rouhani endorsed the agreement, which commits Iran to curb its nuclear activities for six months in exchange for limited and gradual sanctions relief, including access to £2.5bn from oil sales. The six-month period will give diplomats time to negotiate a more sweeping agreement. 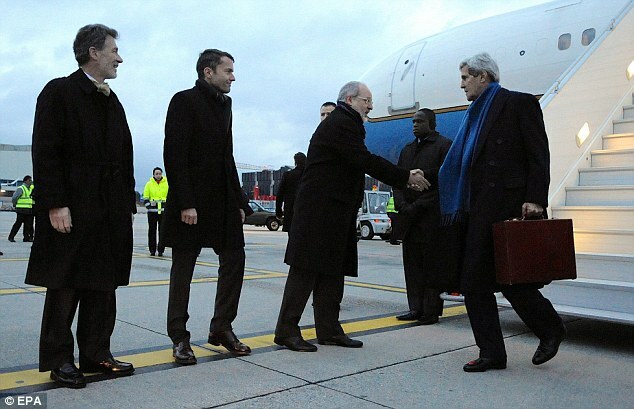 Foreign Secretary William Hague, French foreign minister Laurent Fabius, and US secretary of state John Kerry were among those in Geneva, Switzerland, working on a deal that was acceptable to Tehran. It builds on the momentum of the public dialogue opened during September’s annual UN gathering, which included a 15-minute phone conversation between President Barack Obama and moderate-leaning Mr Rouhani, who was elected in June. The package includes freezing Iran’s ability to enrich uranium at a maximum five per cent level, which is well below the threshold for weapons-grade material and is aimed at easing Western concerns that Tehran could one day seek nuclear arms. Mr Obama hailed the pact’s provisions, which include curbs on Iran’s enrichment and other projects that could be used to make nuclear arms, as key to preventing Iran from becoming a nuclear threat. 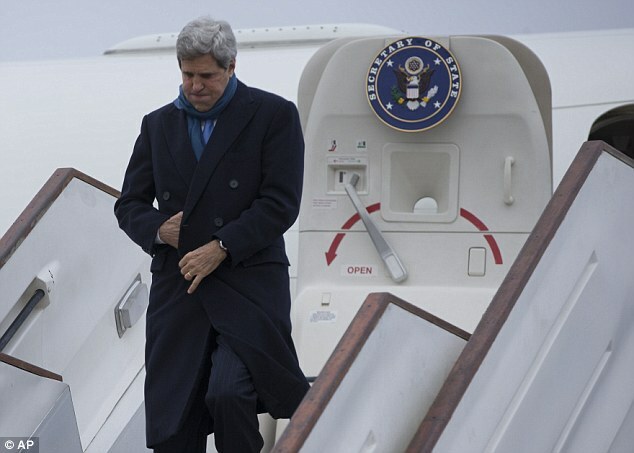 ‘Simply put, they cut off Iran’s most likely paths to a bomb,’ he said. For Iran, keeping the enrichment programme active was a critical goal. Iran’s leaders view the country’s ability to make nuclear fuel as a source of national pride and an essential part of its insistence at nuclear self-sufficiency. Giving up too much on the enrichment programme would have likely brought a storm of protest by Iranian hard-liners, who were already uneasy over the marathon nuclear talks and Mr Rouhani’s outreach to Washington. In a nationally broadcast speech, Mr Rouhani said the accord recognises Iran’s ‘nuclear rights’ even if that precise language was kept from the final document because of Western resistance. 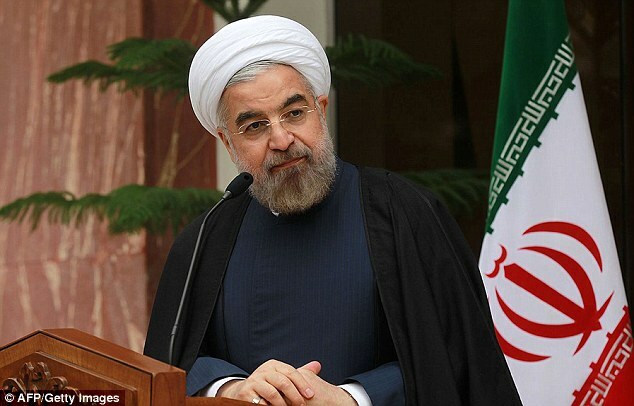 ‘No matter what interpretations are given, Iran’s right to enrichment has been recognised,’ said Mr Rouhani. Saying ‘trust is a two-way street,’ he insisted that talks on a comprehensive agreement should start immediately. Iranian Foreign Minister Mohammad Javad Zarif, who led his country’s delegation, called on both sides to see the agreement as an ‘opportunity to end an unnecessary crisis and open new horizons’. But initial reaction in Israel was strongly negative. 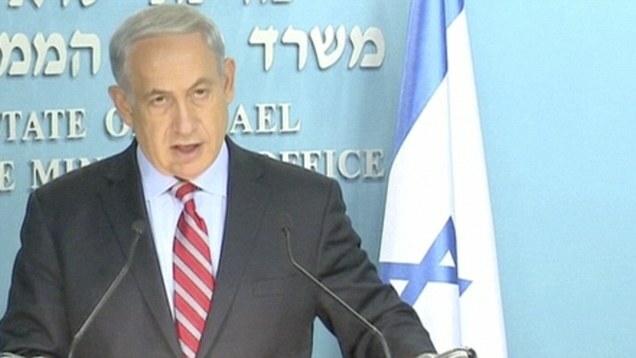 Israel’s prime minister, Benjamin Netanyahu, called the deal, a ‘historic mistake’. 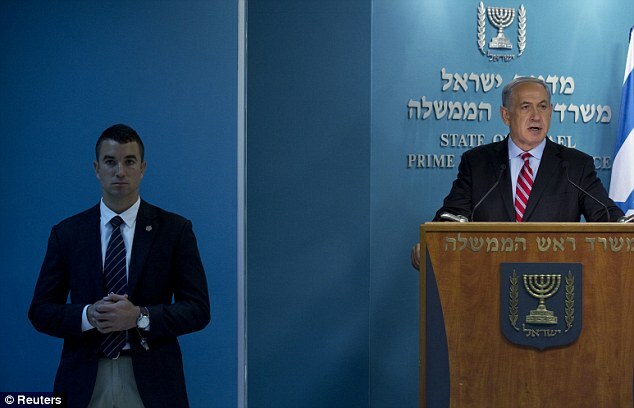 Speaking to his Cabinet, Mr Netanyahu said Israel is not bound by the deal and reserves the right to defend itself. That is a reference to possible military action against Iran. Mr Netanyahu has said the international community is giving up too much to Iran, which it believes will retain the ability to produce a nuclear weapon and threaten Israel. 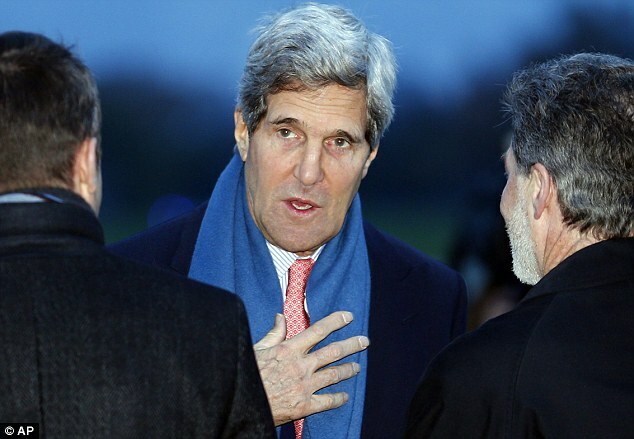 US Secretary of State John Kerry, who joined the final negotiations along with the foreign ministers of Russia, China, France, Britain and Germany, said the pact will make US allies in the Middle East, including Israel, safer reducing the threat of war. The deal marks a milestone between the two countries, which broke diplomatic ties 34 years ago when Iran’s Islamic revolution climaxed in the storming of the U.S. Embassy in Tehran. The statement also said the accord curbs the number and capabilities of the centrifuges used to enrich and limits Iran ability to ‘produce weapons-grade plutonium’ from a reactor in the advanced stages of construction. 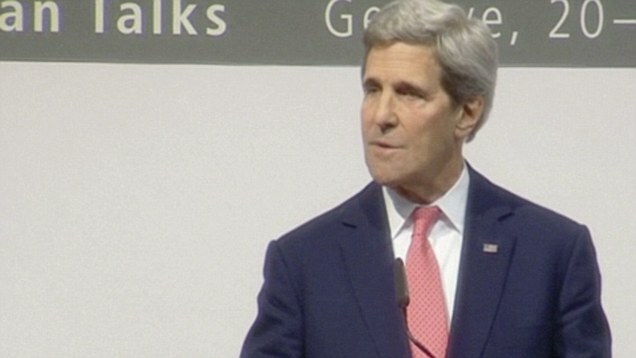 The statement also said Iran’s nuclear programme will be subject to ‘increased transparency and intrusive monitoring’. ‘Taken together, these first step measures will help prevent Iran from using the cover of negotiations to continue advancing its nuclear programme as we seek to negotiate a long-term, comprehensive solution that addresses all of the international community’s concerns,’ said the statement. In return for Iran’s nuclear curbs, the White House statement promised ‘limited, temporary, targeted, and reversible (sanctions) relief’ to Iran, noting that ‘the key oil, banking, and financial sanctions architecture, remains in place.’ And it said any limited sanctions relief will be revoked and new penalties enacted if Iran fails to meet its commitments. Mr Obama hailed the deal as putting ‘substantial limitations’ on a nuclear programme that the US and its allies fear could be turned to nuclear weapons use.